It is almost Halloween, and if you are looking for a book about ghosts, this is one for you. But you won't find any horror here, just humanity laid bare, like the rocks along the lonely Newfoundland coastline; love and loss, life and death, the bountiful and the barren, side by side. This is a book of two parts; the first describes in microscopic detail life on Sweetland Island: the topography, the characters, the weather and the whinnying refrigerator. Alive, alive, this book is a breathing living thing. It is because the first half is so real, and we have come to know the intricacies of the lives lived there, that the second half of the book is so powerful. It is as if we step from the real world, into some misty unreality, though that description is not quite right. The world is half real, half out of memory, but seeming all the more vibrant and vital as a result. 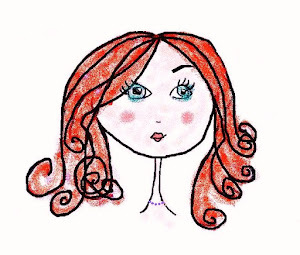 When your life is touched by those who are suffering from mental illness, every experience is coloured by it. The last time read King Lear, it was about a proud old man, but this time, since my mother diagnosed with Alzheimer's, it has become clear to me that the play is about a man suffering from Alzheimer's. It was the same with this novel. Surely this is a book about a man, Moses Sweetland, losing his reason; a man slowly slipping into madness, succumbing to the memory loss (or gain, depending on your point of view) associated with old age. In a way, this book is not very unlike 'The Buried Giant' by Kazuo Ishiguro, which I reviewed during the summer, which deals with memory and the power of forgetting: they certainly make fine companion books. In terms of plt, this is a story about a island closing down. The residents are being paid by the government to leave, the only codicil is that all must go. Sweetland does not want to leave, and so his neighbours and friends pressure him to take the government package. You must read it yourself to earn what happens. One adorable character that we meet is Jessie, the young, Autistic boy who speaks regularly to his deceased great-uncle Hollis, though he is not the only ghost that haunts the island. As in his earlier (fantastic) novel, 'Galore', Crummey presents us with the semi-comforting idea that ghosts walk beside us in life. Once again, I was reminded of my mother, speaking of recent conversations she'd had with long deceased relatives. 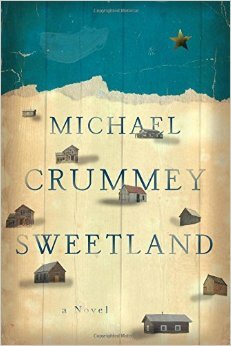 Yet when Crummey writes it, it isn't unsettling or strange. It feels natural, possible, plausible. And this is probably why it is so difficult to finish this book and to leave the world that Crummey has created behind: there is a plain comfort in the frill-free, simple world he describes. I find that I had to begin to re-read it instantly on turning the final page because the loss of the world, with interwoven lives, and colourful characters, was pretty unbearable. Perhaps this is Crummey's greatest achievement: he makes us mourn the passing of a world that is all but disappeared except between the pages of a history book, or in the memories of the very old. As such, Crummey is an archivist, a collector of memories, a Lady Gregory of our times! But the entire premise is debatable, questionable even: Is Moses Sweetland just a man with a vivid imagination, someone who has been alone too long, or is he actually losing his grip on reality? There is something heroic, and noble about the man, a John Wayne of sorts in his ruggedness. He is the one they rely on to fix thing, sort things out. Yet he has made mistakes and has regrets, and these are the thing that haunt him in the second half of the book. We are fearful that he won't leave the island, the threats are growing evermore serious, but we are more terrified that he will leave. How can the man leave when his very name is intertwined with the land under his feet. He is the island, the island is him. Perhaps this is one of the reasons that we come to care so much about this character; because we have come to are so much about the place, each colouring the other until they become synonymous with the book's title. Michael Crummey should be given some sort of national award: he is done so much for tourism. This book had me Googling flights to Newfoundland and pricing holiday homes in St John's, though I don't know if I would ever find much of Sweetland's world in modern day Newfoundland. It seemed too alien for Sweetland himself, though it would still be worth looking for. Halloween or no, this book must be read and reread, for one reading will not be enough. It will leave you heartbroken at the loss of it; the brutal landscape of the Mackerel Cliffs, the dogged tenacity of Moses Sweetland, and its people, ghostlike, yet all the more real for that.